When someone tells you that markets have changed ... run from them fast. Have Markets Changed? The Real Question: Have People Changed? Markets behave the same as they did 500 hundred years ago. They are the same today because they always change. If you have a trend trading system that’s sound, meaning its principles are designed to adapt, you can take advantage of market changes and make money. Changes in markets are no different than changes in the business world, or in life. They will not impact negatively on you if your strategy for handling them is based on reality, flexibility and responsibility for making your own decisions. Still some are unconvinced and argue that technology erases trading edges, thereby changing the markets. Computers don’t erase solid edge. For every trader with a computer program saying “buy”, there are nine other traders with computer programs saying “sell”. No matter what you do, markets go through stages: accumulation, run up, distribution and run down. But, the belief that markets have changed (and rendered trend following dead) is woefully misguided. Extraordinary Popular Delusions and the Madness of Crowds is a great read for those that feel markets are different now. People don’t change. Bubbles come and bubbles go. Make money off human lunacy. 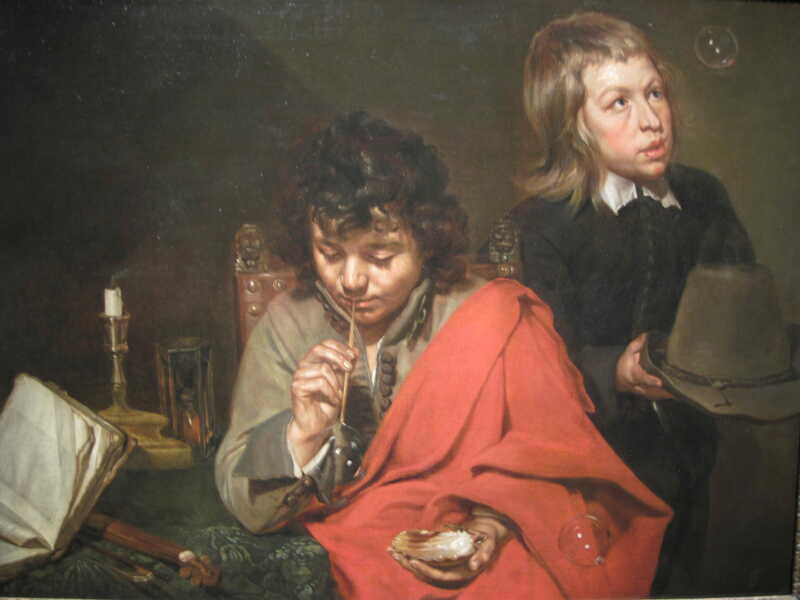 A boy blows bubbles with a straw as his friend tries to catch one in his hat. The bubble-a perfect orb which can pop at any moment-is a familiar symbol of the fragility and brevity of life. To enforce the point, the artist includes a snuffed-out candle and an hourglass in the background. The open book and half-hidden musical instrument may refer to the idea that art outlasts life, which of course is part of the point of the painting itself.